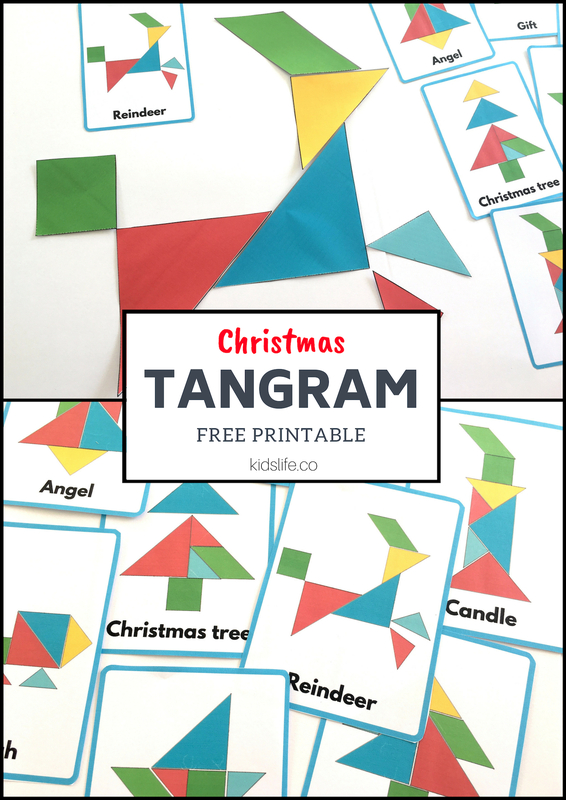 Tangram is an ancient Chinese puzzle made by cutting seven pieces from a square. It is a great puzzle that allows you to use all seven pieces in one go to make an infinite number of shapes. Tangram is a very well-known game in Kindergarten and children loves to reproduce its patterns. You may increase the difficulty level in submitting only an outline of the puzzles, in this case kids will have to find which shapes to use to solve the puzzle. Simply follow the instructions below in order to download our special Christmas pack. 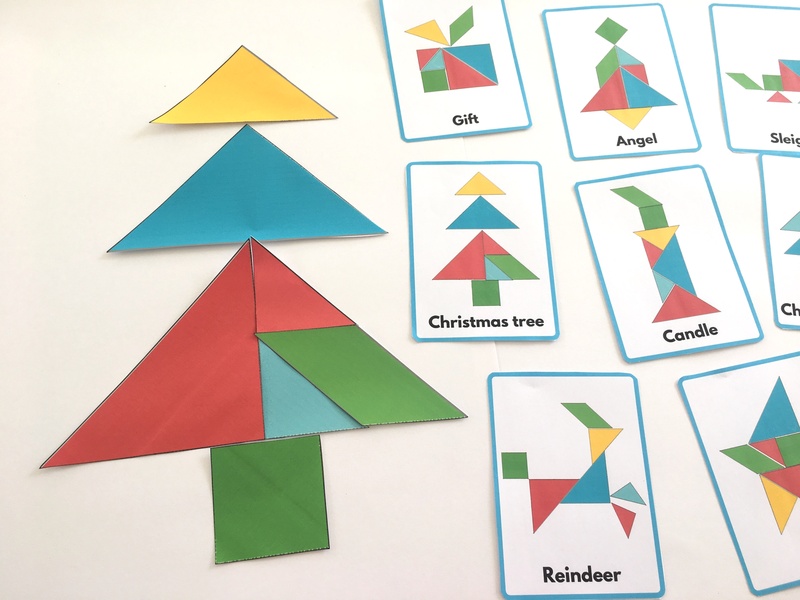 Our pack, free to download and print, includes 4 multi-coloured templates to cut out your own Tangrams + 14 fun Tangram puzzles. 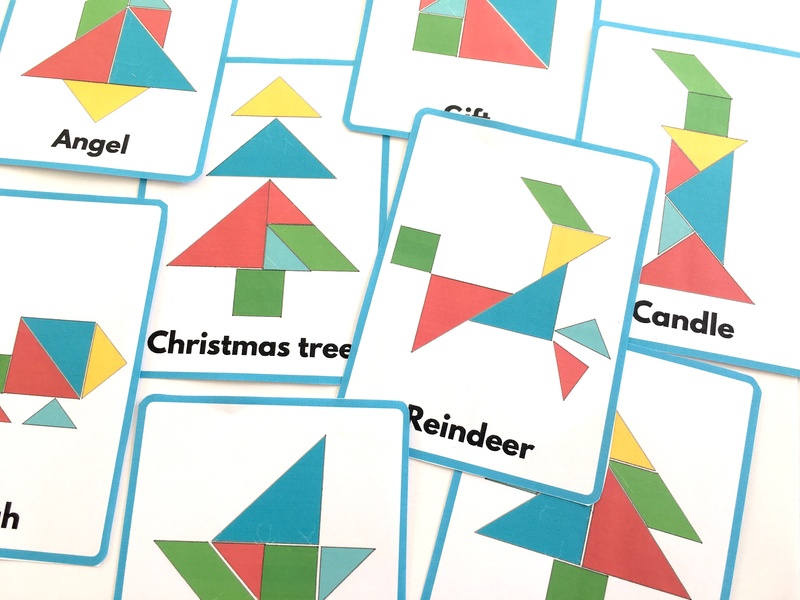 You may laminate all your Tangram pieces if you wish them to last longer. See you soon with more games !